Stay updated on News and what's going on at Community Care of West Niagara. You're invited to the 3rd Annual Every Bowl Full Fundraising Dinner to Support Community Care of West Niagara. 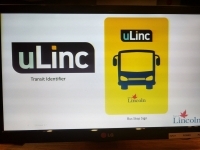 Information on the new ULinc transportation in the Lincoln area! The Beamsville & District Lions Club 28th Annual Fall Food Drive in support of Community Care of West Niagara will be on Saturday, September 23, 2017. Grimsby Lincoln News article: Community Care of West Niagara focuses on youth. Community Care of West Niagara hosts a special event to celebrate Community Care of West Niagara’s 50th Anniversary! 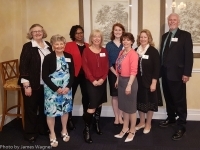 Community Care of West Niagara's Volunteers are recognized by the town of Lincoln with the Good Citizens Award. Community Care of West Niagara hosted “Coldest Night of the Year” to support homeless in our community. Community Care of West Niagara thanks the community for a year of support. Community Care of West Niagara hosts a Ground Breaking Ceremony just before the official start of the warehouse expansion. The Beamsville and District Lions Club has been serving residents since 1939 and continues to partner with the Community Care of West Niagara in our food drive after 27 years. $50 will provide hot water for a family of 4 for a month.